Wait, am I seeing double? No, you're not, we have indeed reviewed a very similar chassis just towards the end of last year. 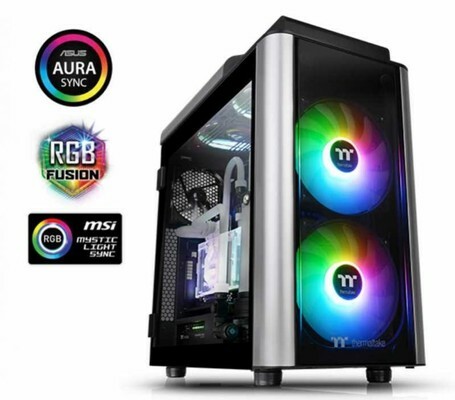 That was the Thermaltake Level 20 GT RGB, this is the Level 20 GT ARGB. It's a subtle difference, but a big one for RGB lovers. Switching to addressable means much more flexibility over your lighting, being able to control every LED, rather than just one setting per RGB device. Thermaltake Level 20 GT ARGB kaufen.